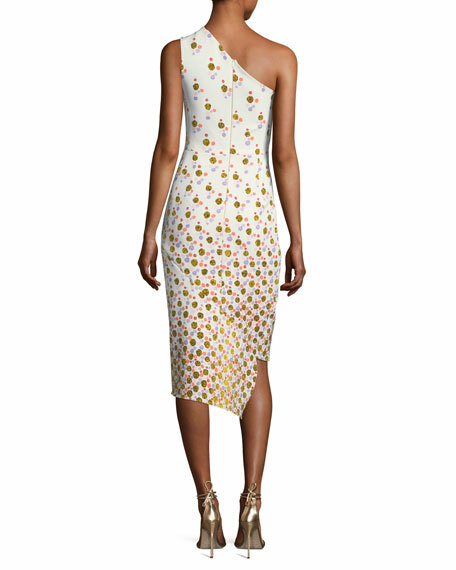 Peter Pilotto dress in gradient polka dot print. Peter Pilotto and Christopher De Vos, the designers behind the Peter Pilotto label, each bring a distinctive strength to their partnership. 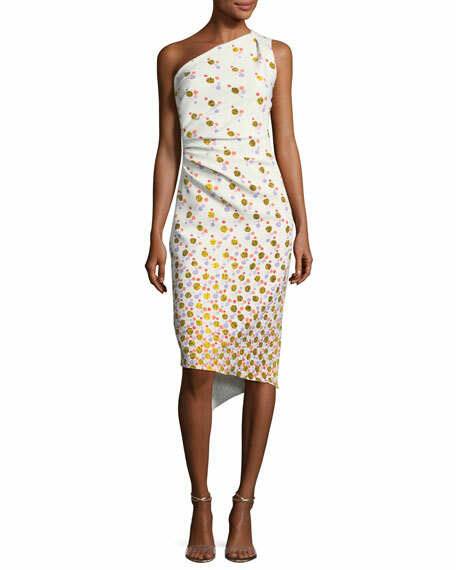 While Pilotto focuses on textiles and print, De Vos concentrates on silhouettes and drape. Their combined talents create fashion that embraces both new and classic perspectives of elegance displayed in otherworldly prints and soft, sculptural shapes. While their vision is constantly evolving, a recurring theme is natural phenomena. Pilotto and De Vos are particularly fascinated by a scientific view of nature, and this is reflected in the microscopic, encrusted, hyper-real prints of their collections. For in-store inquiries, use sku #2360258.